European Commission Paid Traineeship 2018 for Graduates Worldwide and How to Apply. 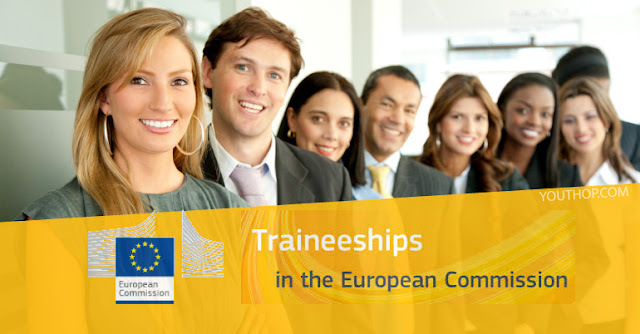 European Commission Paid Traineeship 2018… A paid traineeship of 5 months with the European Commission (or some executive bodies and agencies of the European Institutions like, for instance, the European External Action Service or Executive Agency for Competitiveness and Innovation), starting on either 1st March or 1st October. and reimbursement of travel expenses. Accident and health insurance can also be provided. You do not have to fill in the entire form in a single session. You can save your entries and log in later to make changes to them, if necessary, and/or complete/finalise the form. You can also preview your application form in printer-friendly PDF version at any time during the application period. Before submitting your application form, the system will show you its overview, as well as the sections that should be filled in. Once your form is correctly filled in, containing information in each relevant section, a “Submit application” button will be enabled. Once you have pushed this button, no further modifications can be introduced. Your application is now registered in the system. A receipt confirmation will appear on your screen, along with your candidate number. Your application is correctly submitted only if you have received such number. In case of queries or technical problems, please contact the Traineeships Office through the “Contact” section. Sending of offers: end of June.